This picture was taken while looking out the window onto the courtyard. 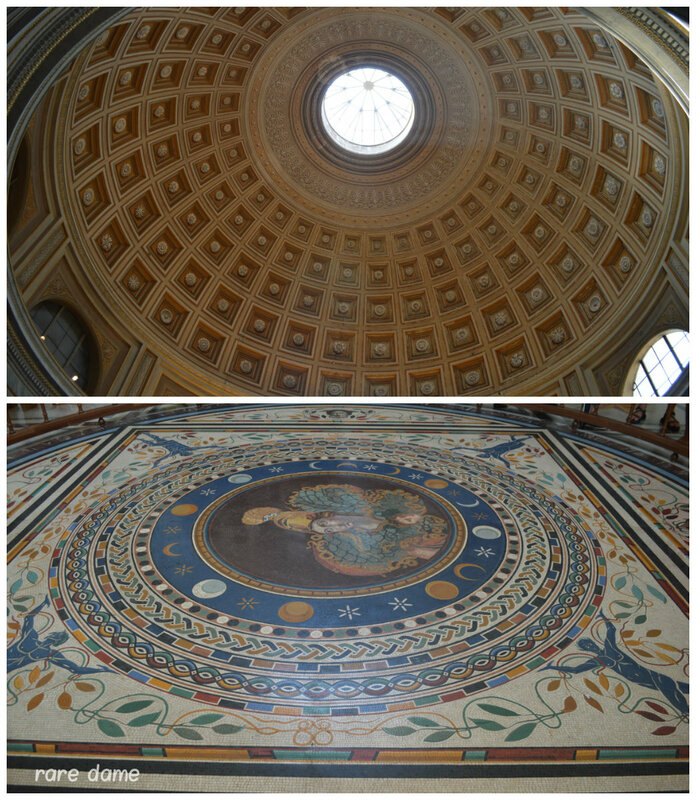 Even the ceilings and floors were art. These white and gold lockers lined the walls to our exit. I felt like I was attending a fancy middle school! I LOVED this ceiling - the colors were so stunning! This was the hallway of Maps - my 2nd favorite room outside of the Sistine Chapel. I appreciated this collection of candle holders and a cross - I had to take a picture! 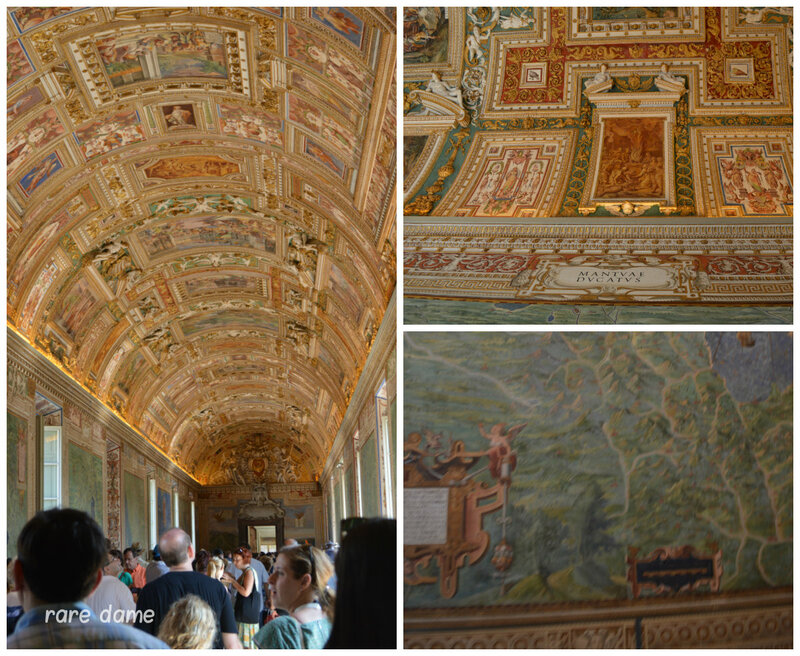 *Note: No pictures could be taken of the Sistine Chapel. G tried to sneak one on his phone, but security made him delete it and then turn it off! Also, after dealing with 2 1/2 hours of hotness and mass amounts of people, we forgot to go through St. Peter's Basilica. Whatever, we have a great picture standing in front of it! The Colosseum - Completed in AD 80, this building was large and in charge. We sat there trying to imagine how people physically built something so massive that long ago. This is still the largest amphitheater in the world and, at it's time, could hold up to 80,000 poeple Wiki/Colosseum. The Romans were not playin' around with building structures. All I wanted to do while in Rome was to take a picture of the Colosseum at night. 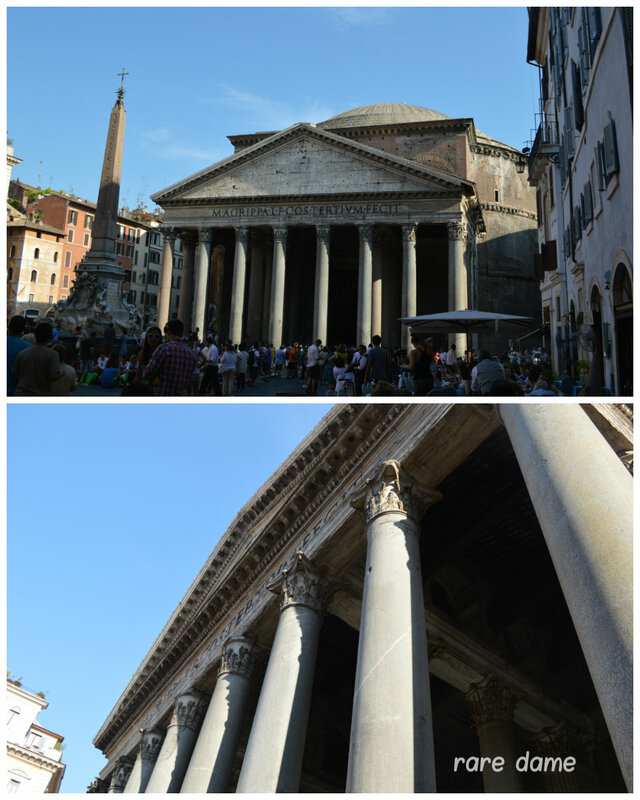 The Pantheon - Built in AD 126, this was actually one of my favorite things to see (without going inside, of course). I was completely in awe of how massive and old this building was! The dome is still the world's largest unreinforced concrete dome Wiki/Pantheon. The Romans definitely embraced the saying "go big or go home." Again, not playin' around. If you missed Rome Part 1 and really want to see more pictures, click HERE. There really are key things we were not able to see because of time. And I really wished I would've read up on the history of Rome, but I didn't. I'll guess we have to go back again! And, definitely not in the summer! You look great! Congrats for this marvelous vacation. It was a good choice!